American Eagle Gold Bullion coin was first minted in 1986 by U.S. Mint in four sizes; 1 oz, ½ oz, ¼ oz, and 1/10 oz. 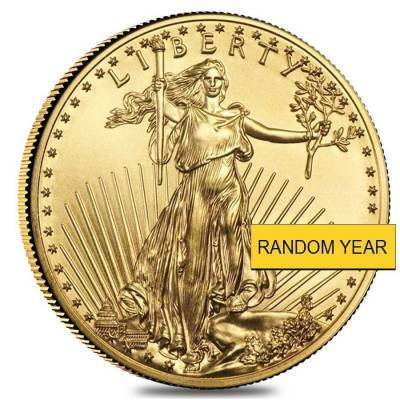 Only modern bullion coin to be authorized by the U.S. Government and guaranteed for their weight, content, and purity by the U.S. Mint. Per law, the gold for these coins is mined only in American. Contains actual gold weight of 1/10 Troy Ounce with purity of .9167. Obverse – Augustus Saint-Gaudens’ Lady Liberty with a torch in right hand and an olive branch in left hand striding forward with her hair flowing on a background of rising sun and Capitol building. Reverse – A male gold eagle holding an olive branch is flying above the nest that contains a female gold eagle and her hatchlings, a design by Miley Busiek. Individual coins will ship in a protective coin flip while multiples of 50 will be shipped within their original mint tube. Greatly appreciate your customer service. Very happy to get the gold eagle in great condition as promised and extra thanks for the packaging and shipping, great job! Thank you!!! Thank you for the beautiful coin, it arrived quickly and in excellent condition. I'm very satisfied with my purchase and will be returning! Best price available for this incredible coin. The 1/10 oz gold eagle is a great way to regularly add to my collection. Really great shipping and handling, thanks, Bullion Exchanges. This 1/10 oz gold eagle was my first purchase from Bullion Exchanges. I could not be more satisfied with the product or service I received from Bullion Exchanges. I will continue to shop here for my precious metals needs. got my coin in a great state, being carefully package. Enjoyed the whole order process as it's quick and easy. will definitely buy more from Bullion Exchanges! The 1/10 oz gold eagle i ordered was a great addition to my collection. It Was packaged and delivered in great shape and the free shipping was a plus. Thank you Bullion Exchanges! 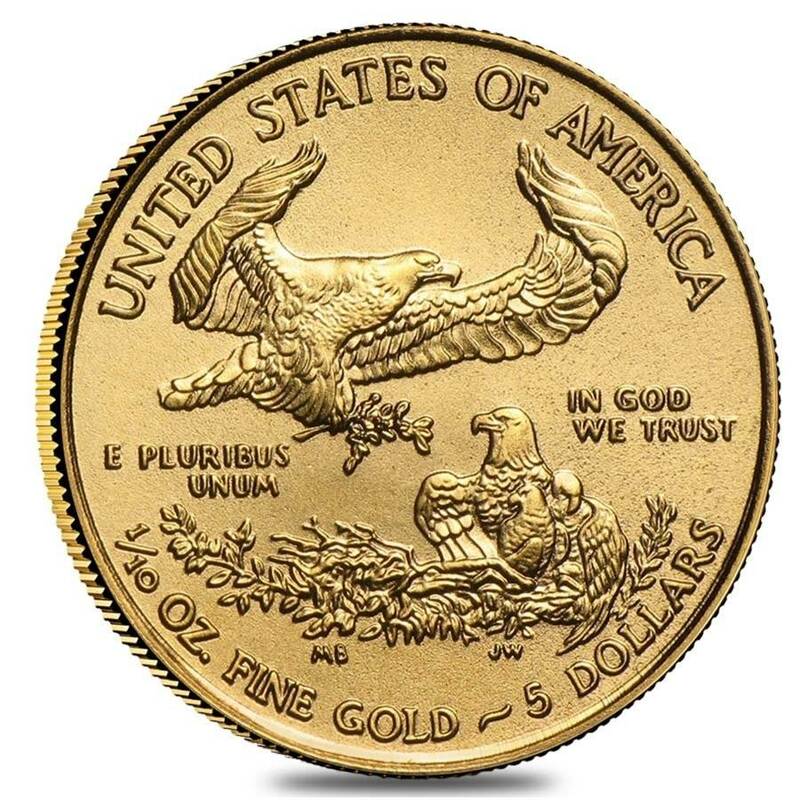 This beautiful Gold Eagle is a great buy for any coin lover. Bullion Exchanges gave me a flawless customer transaction! 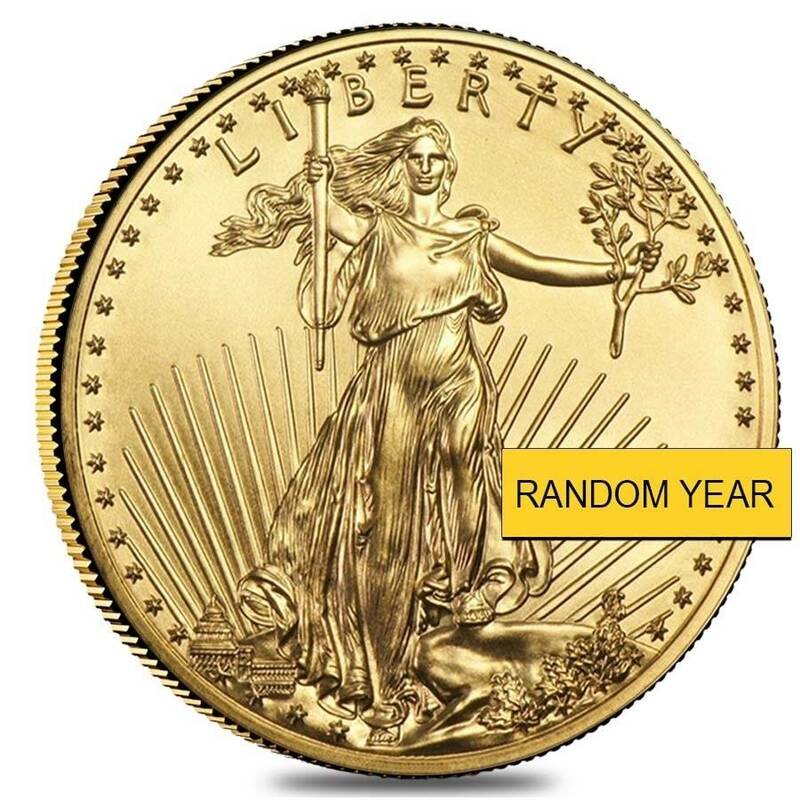 Bought the 1/10 oz Gold American Eagle as a hedge for the rising inflation rates. Thank you BE for your excellent pricing and shipping. Id recommend to anyone to buy from BE. With this purchase, you earn 145 Bullionaire Bucks 145 BB = $0.15. We currently have 1068 of this item in stock. For every $1 spend, you will earn 1 Bullionaire Buck which is equivalent to $0.001 off a future purchase. 145 BB = $0.15.